The gauntlet has been dropped. The war has started, and in the oddest turn of events, a pair of booksellers are at each others’ throats. Even more surprising than the role that both are playing is the price of their prized offerings, the Kindle Fire and Nook Tablet. One year ago, a $200 or $250 tablet with such robust specifications was unthinkable. We’ve reached a new price inflection, and what an interesting ride we’ve taken to get here. When the iPad debuted, it was met simultaneously with praise and disdain. Many thought that it wasn’t different enough than a giant iPod Touch to justify the $500 price tag. In an absurd twist on normalcy, it turned out that Apple had actually produced a relatively inexpensive piece of hardware. In November of that same year, the Samsung Galaxy Tab would be released at a very surprising – and very disappointing – price of $600. ends up being a very substantial loss. 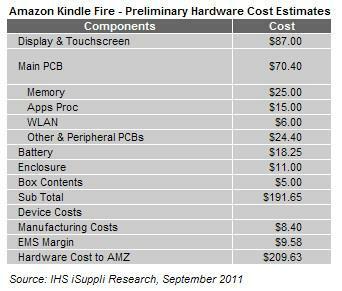 The Nook tablet is similarly specced, and I would not be surprised if their per unit cost was very similar to that of the Fire. Why would former-book peddlers engage in such aggressive, cutthroat pricing, and why didn’t Samsung do the same a year ago with the Tab? The answer quite obviously resides with the ecosystems. The Amazon ecosystem has been building steam for quite some time, as has the Barnes and Noble plan. We see each ecosystem’s strength reflected in the product as well. The Amazon ecosystem has more hooks – such as Prime – and an overall more robust feeling than does Barnes and Noble’s, and this allows Amazon to lean more heavily on its margins. 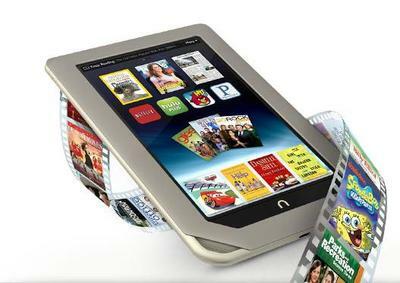 Barnes and Noble, with the weaker ecosystem, must draw more profit from each device sale, which is reflected in the 25% premium the Nook Tablet demands. The Samsung Galaxy Tab, lacking a robust proprietary ecosystem from which to draw, had to rely purely on the price of the device itself, and while it could have been more aggressive than the original $600 price point, it couldn’t have been priced anywhere close to either of the new tablets. This may be a sign of things to come. Larger companies may attempt to build out ecosystems with which to complement their own hardware, or to alleviate the economic stress of such low price points. Isolated ecosystems may be the response to gain competitive advantage. There are outliers, however, companies that can produce high margins from device sales, as well as from their ecosystems. I can think of at least one. 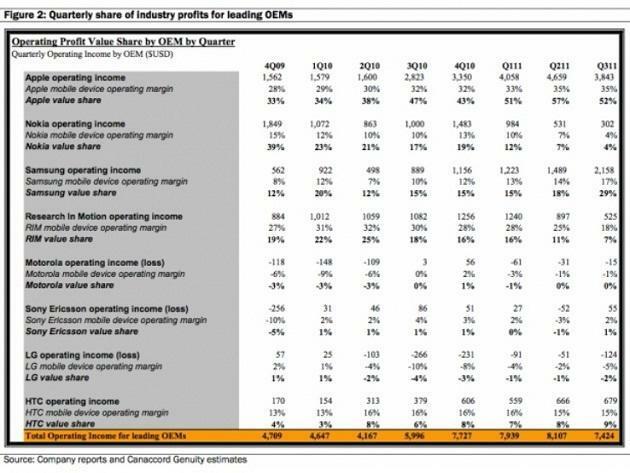 In recent news, Apple was found to have only 4% of market share for handsets, yet produced a whopping 52% of all OEM profits. Right now, Apple is operating on margins of ~35% on its phones. Perhaps the ultimate evaluation of whether or not Amazon and Barnes and Noble’s strategy is paying off is if Apple forgoes its ridiculous profit margin, produces a 7-inch competitor, and stands on the height of its ecosystems shoulders.